You can make big profits by investing in Montana tax defaulted property sales if you do your homework and know the rules. 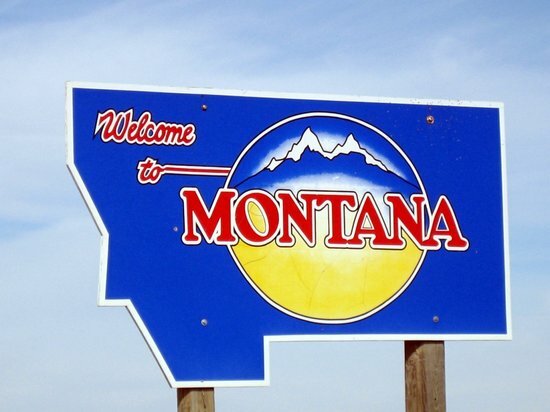 Montana is a Tax Lien Certificate state. When you buy a tax lien certificate at a Montana sale, you are getting a lien on the property. You do not own the property. The respected legal information website Nolo puts it this way: “Usually, a property tax lien takes priority over all other mortgages or liens on the property, even if the property tax lien was placed on the property later… If the taxes are not paid, the government can have your property sold to pay the property taxes. The government must follow whatever procedure the state prescribes, and you may have the opportunity to pay the taxes and costs and get your property back even after the ‘sale. '” Read more on the Nolo web page. In a Montana tax defaulted property sale, you are buying the past-due property taxes. The purchase price is the amount of the past-due taxes plus whatever premiums the county adds. If you buy a tax lien certificate, you earn 10 percent on your investment. To keep his property, the owner must pay you for everything you spent at the auction, plus that 10 percent. This is called redeeming the property. Every county has different rules for its sale. You must know these rules. the Flathead Beacon, the newspaper for Flathead County. The Beacon was reporting on a previous property tax sale. The Montana Land Project is a company that tries to buy tax liens in the Big Sky Country state. The article also has a sidebar explaining the tax certificate sale process. So what if two or more people want to buy the same lien? The interested people show up on sale day. Then, they use a lottery or random chance method to select who gets to buy the lien, in Lewis and Clark County. There, they “draw cards,” said the tax office receptionist. The selection process continues as long as two or more people want to buy the same tax lien. Hill County operates on a “first come, first served” buying process. Montana allows the property owner time to redeem his home. “The taxpayer has 36 months to redeem their property. This process will repeat itself the following two years if no taxes are paid. Some counties allow the investor to pay the subsequent taxes); others do not. This may result in different investors holding tax liens on the same parcel of property,” says the state legislature’s explanation of the redemption process. The web page goes into more detail about the purchase process. This also stresses why you need to contact (check their website, email or call) each county tax collector to get all the rules. If the owner does not redeem the tax lien certificate, you can foreclose and own the property. The purchase amount is set by the state. The price includes the past-due taxes and any premiums added by the county. If you buy this lien, you earn 10 percent on what you invest in the sale. Before you buy a tax lien, you have to know if the property is worth your investment. The county selling the tax lien will not give you any guarantees about the condition of the property or the value. You need to look at the house in person if you can. If you can’t find a way to personally see it, get recent pictures of the property. You can get a lot of information on the property from Zillow.com. Zillow will give you an estimate of the property value and what you can expect to rent it for, if you wind up owning the house. Zillow has more information you need to be successful in this kind of investing. I have two videos on my website, Members.TedThomas.com, that teach you how to use Zillow. I have other videos that tell you how to do property research. One thing you do not have to worry about is a mortgage. A Montana property tax sale sets aside a mortgage on the property. If you are interested in earning big profits through investing in tax defaulted property, look at other states as well. Montana, offering 10 percent to investors, is on the low end. You can earn 18 to 36 percent interest in other states. I have more information about these other states at my website, Members.TedThomas.com. Ted Thomas is a Florida-based author and publisher, who specializes in tax defaulted properties. Visitors to his website, TedThomas.com, will find 4 must see FREE instructional videos. No credit card required. The video lessons will give you everything you ever wanted to learn about government tax defaulted real estate, which is sold at public auctions for a starting bid of back taxes, and you can buy property for 10 cents to 20 cents on the dollar. You will also learn the secrets of tax lien certificates which pay guaranteed returns of 16%, 18%, up to 36%. Go toTedThomas.com for more information.